Earth Diggers take pride in admitting that they are simply the best in the Concrete Cutting Gawler services. The name of the company has spread through the word of mouth in Australia and here we know that we are successful. We have repeat clients who has over years trusted us for the excellence in services. We do not stop at any point and we are growing as a company. We aim to compete with our own standards by implementing new machines and experts. 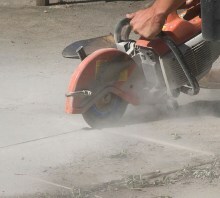 Noise free concrete cutting is our forte and we never fail to satisfy our clients through our services. As new technology is coming up we are updating our inventory with new machines. We believe in positive growth and open to criticism to learn and be better for our clients.